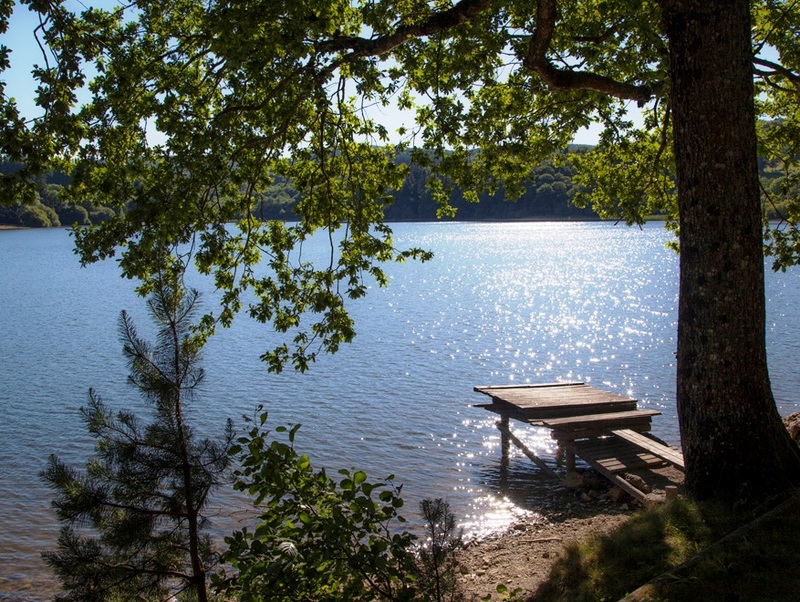 Just a 10 mins drive from La Villa, our wonderful Lac de Montagnes awaits. The Lac de Montagnes is a magical spot with something for everything – a peaceful circular (45 min) walk; a place to enjoy a picnic, a game of tennis or mini-golf… or for the more energetic the l’Acro Parc With a restaurant, snack bar, a beach with safe swimming, it really is a wonderful facility which is completely free to access and enjoy. Many of our guests visit the Tuesday or Saturday market in Mazamet and take a picnic up to the lake to enjoy (we provide beach towels & cool boxes free of charge too). There are various picnic & BBQ spots dotted around the lake to enjoy. Easily reached by car on route to Carcassonne, during the peak summer months of July & August you can also take advantage of the twice-daily free shuttle bus (departing/returning just 200 metres from La Villa). For those who prefer to walk, not only is the Lac the starting point for a number of self-guided walks in the Montagne Noire, you can also walk to the Lac from the front gates of La Villa via Hautpoul (a moderately difficult walk taking roughly 2.5 hrs in each direction and over the new Passerelle too). Sitting at an altitude of 750 metres, the Lac, and its waters, are refreshing (the air temperature is always at least 5 degrees cooler than in Mazamet itself) and offers a pristine environment, maintained by the town of Mazamet for both residents & visitors alike. Read more here about the things to see & do on the doorstep of La Villa.